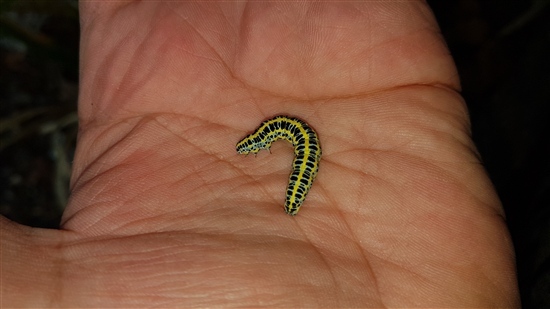 Looks likely Nige, mine pupated & now will overwinter in shed! What moth please? 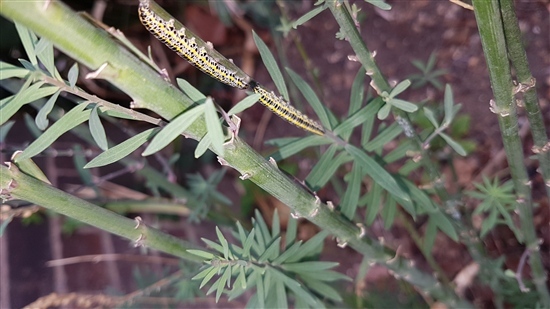 Larvae feeding on linaria in my garden. Thank you. We have a lot of the tall purple toadflax which self seeds freely all over the place, and having spotted one caterpillar I found some plants were full of them. You'd think something as bright as that would be obvious, but they're actually quite hard to see lined up against the stems. Certainly are ... long & skinny, was just looking at my plants to see if any late ones, likely looking back at me & sniggering cos I couldn't see any! A french friend recently suggested I would enjoy reading some of the insect books of Jean-Henri Fabre, a lot of which have been translated into English. I haven't got myself organised for the reading of the books but he sent me this extract which is the story of his encounter with dozens of Giant Peacock moths in 1916, it's fascinating although I have only read about half of it so far! I thought I'd share it. Thanks H, that will be my 'book at bedtime' tonight! I didn't realise but you can access a number of other stories about different species too using the next & prev buttons. They are quite short but fascinating. 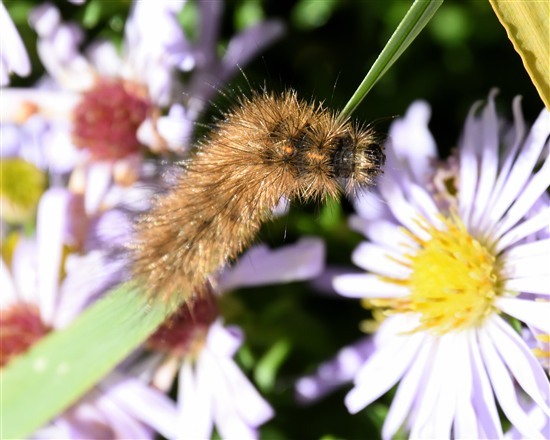 Well I bit the bullet & tried my first upload of photos, only 3 moth photos & a bit of text & got a message come up "erreur occured........" & lost the lot. Well thanks a bunch RSPB!